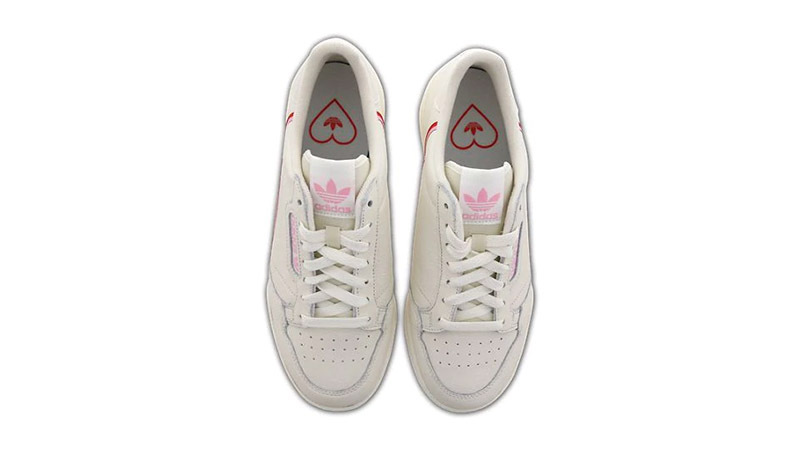 A vibrant twist ensures that the adidas Continental 80 White Pink stands out from the rest. Customising a minimal design with vibrant hits of colour, this silhouette will brighten up any winter rotation without being too bold. 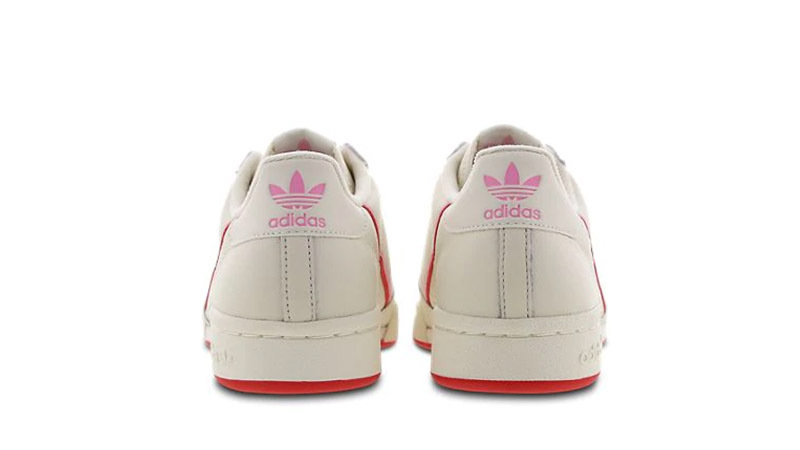 adidas’ retro silhouette is a perfect choice for every day wear, combining an understated low-top shape with a uniquely decorated upper. 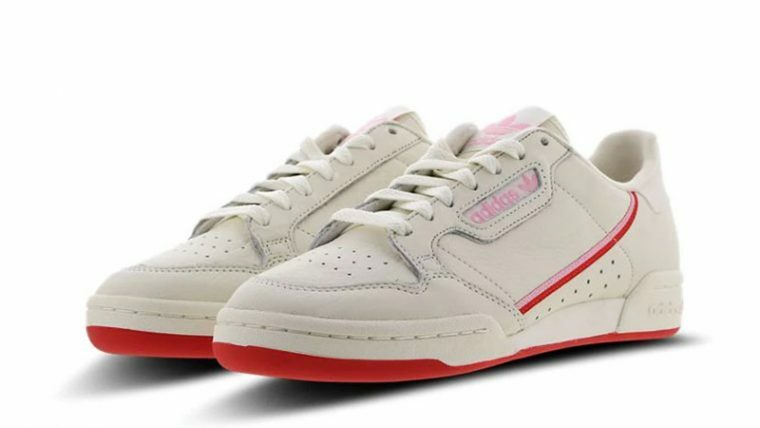 Super soft cream leather dresses the shoe, while a signature pink and red stripe adds contrast across the side panels. Trefoil branding also stands out in pink on the sidewalls and heel. 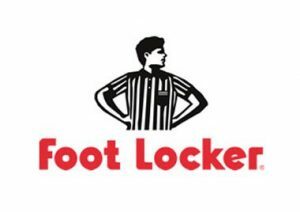 In terms of comfort, a padded collar will support your ankle for extra security, while adidas’ foam midsole is present for lightweight cushioning. To complete the look, an eye-catching red outsole steals attention under foot. If you’ve been searching for a classic sneaker with a modern twist, then you won’t want to miss out on the adidas Continental 80 White Pink. Shop this unique pair via the stockists listed and be sure to stay tuned for more colourway updates throughout the year! 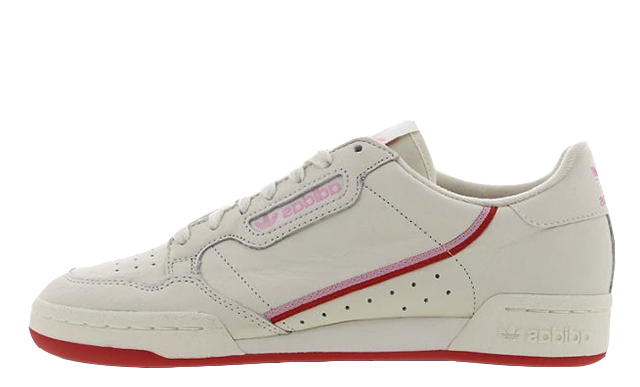 You can find more Women's Adidas Continental 80 Trainers Release Dates here!